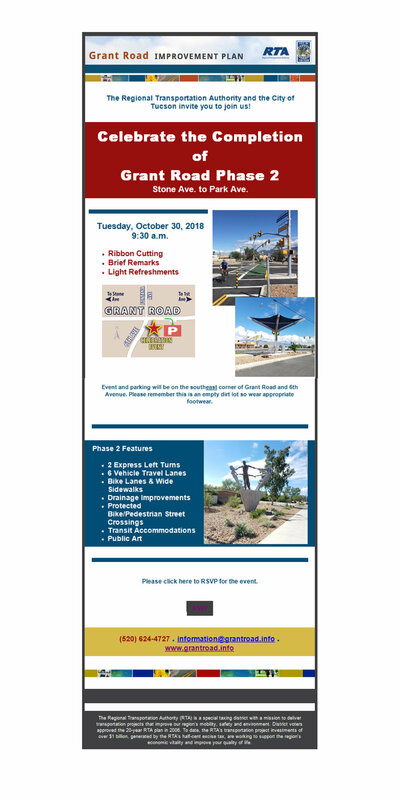 Come celebrate the completion of Grant Road Phase 2 on Tuesday, October 30th at 9:30 am! Wheat Design Group was the landscape architect on this project and helped to beautify the corridor with native plant material, shade trees, green infrastructure/rainwater harvesting, and pedestrian amenities. We look forward to celebrating on Tuesday and watching this landscape enhance our community in the coming years.